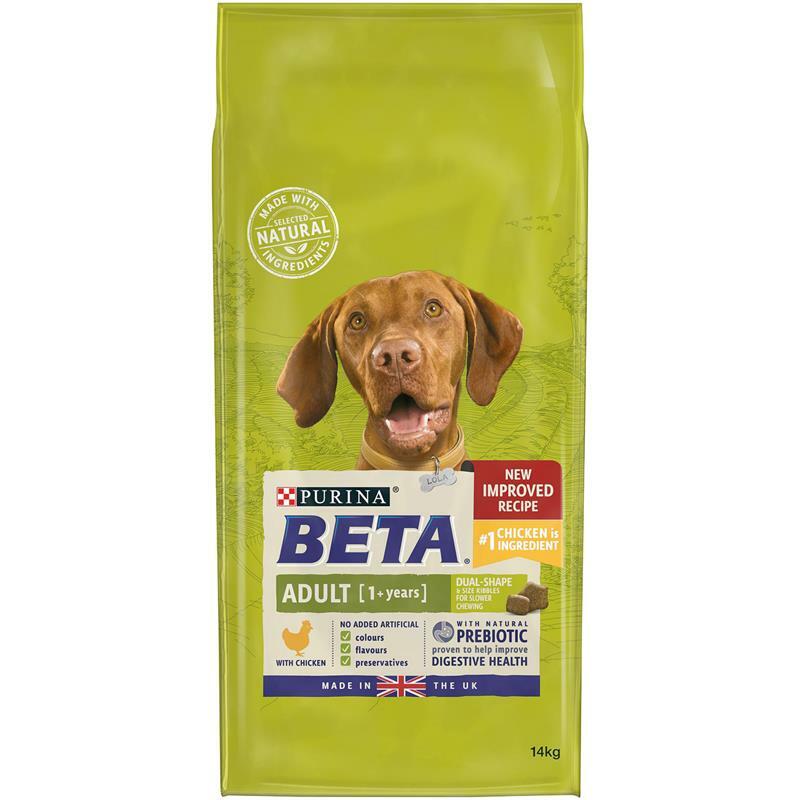 BETA Adult Dry Dog Food With Chicken - 14kg. The BETA adult dry dog food with chicken has tailored nutrition for adult dogs that includes essential vitamins and minerals to help support healthy bones, and high levels of protein and fat to help support muscle maintenance. It is also specially formulated with selected natural ingredients and a natural prebiotic to support digestive health. No added artificial colours, flavours and preservatives.